The Twitter Trust and Safety Council, established with much fanfare last year to promote tolerance, discourage bullies, and ensure “people can continue to express themselves freely and safely on Twitter,” was nowhere to be found. Neither were the rest of the civility police who’ve been lamenting the dangerous climate of hate against all females purportedly fomented by President Donald Trump. Here’s the thing. There are myriad reasons to criticize DeVos, whatever side of the political spectrum you occupy. 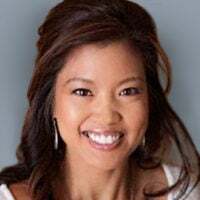 Grassroots education activists on the right, for example, wish the White House had chosen a proven warrior in the fight against Fed Ed instead of a well-heeled, establishment GOP donor who was for the Common Core racket in Michigan before she was against it. On the left, public education union bosses oppose DeVos’ push for expansion of public charter schools and vouchers. History, like a one-trick Neanderthal egotist, repeats itself. Conde Nast-y’s chief Trump-basher is a serial verbal abuser of outspoken conservative women. 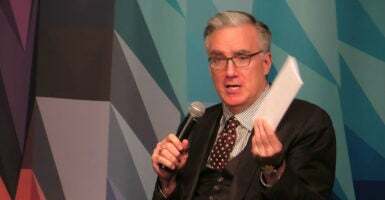 Conde Nast, which has now sponsored two seasons of Olbermann’s internet diatribes, has nothing to say about his lunatic hang-up with conservative women. And the company cashed in on inaugural protests with a “special edition” magazine (retail price: $13.99) titled “Rise Up! The Women’s Marches Around the World.” One-sided narratives on the war on women sell.